New Disney Parks Exclusive Pirates of the Caribbean Jolly Roger Dorbz Ridez to be released Tomorrow! 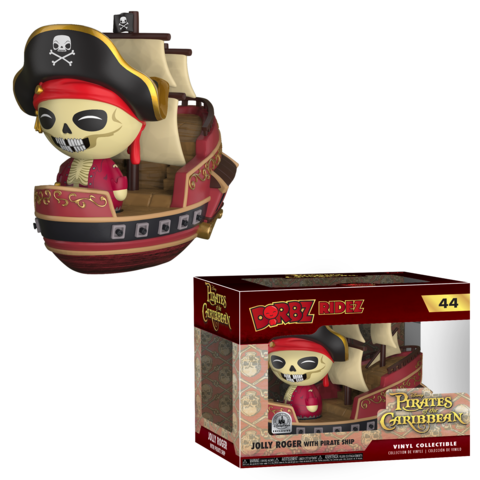 Disney Parks is set to release their newest Exclusive from Funko, the Pirates of the Caribbean Jolly Roger Dorbz Ridez. The new Exclusive will be available at WonderGround Gallery in Downtown Disney, Pieces of Eight in New Orleans Square, Emporium on Main Street at Disneyland Resort. The new Dorbz Ridez will be released at Pin Traders in Disney Springs and Pirates Bazaar in Magic Kingdom at Walt Disney World Resort. Remember Purchase Limits Apply. Previous articleCelebrate AMAZING SPIDER-MAN’s Landmark 800th Issue with a Variant Cover by Mark Bagley! Next articlePreviews of the upcoming Incredibles 2 Mystery Minis, Super Cute Plushies and Pocket Pop! Keychains!